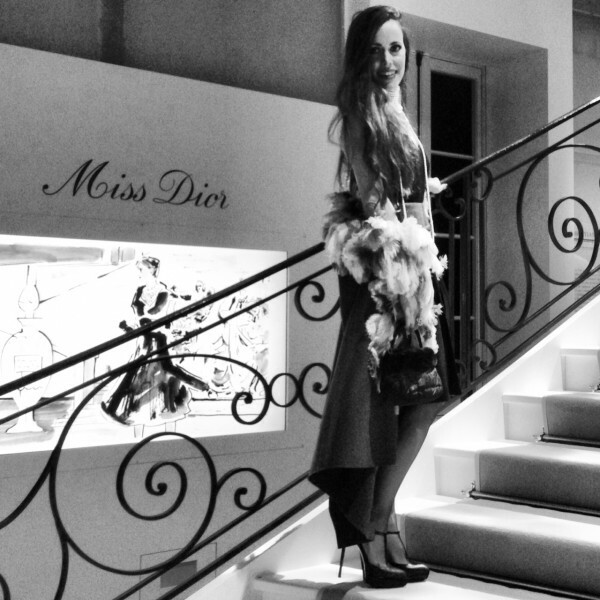 During the last two weeks, the Grand Palais hosted the flagship exhibition dedicated to the spirit of Miss Dior, the house’s famous and first fragrance. 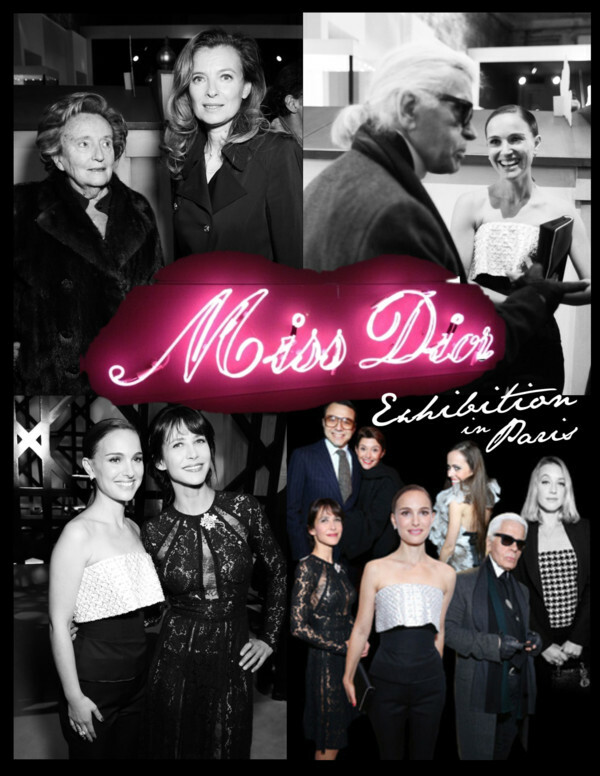 To celebrate the opening night, celebrities such as Natalie Portman, the face of Dior, Sophie Marceau, Karl Lagerfeld and many more came to see the exhibition themselves, followed by an amazing after party also hosted at the Grand Palais. I felt very honored to be invited to such an exclusive event. Arriving with Mary Ma, international model and Chinese fashion designer. 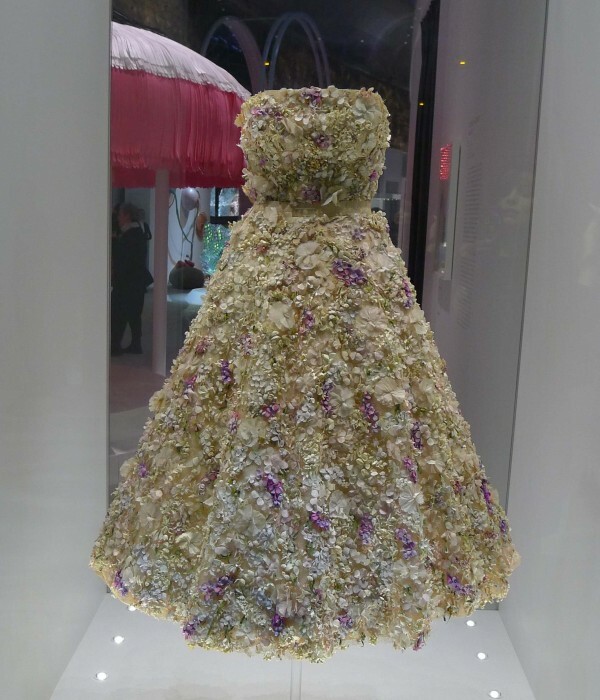 Christian Dior himself, a creative and visionary genius, managed to unite couture and perfumes. 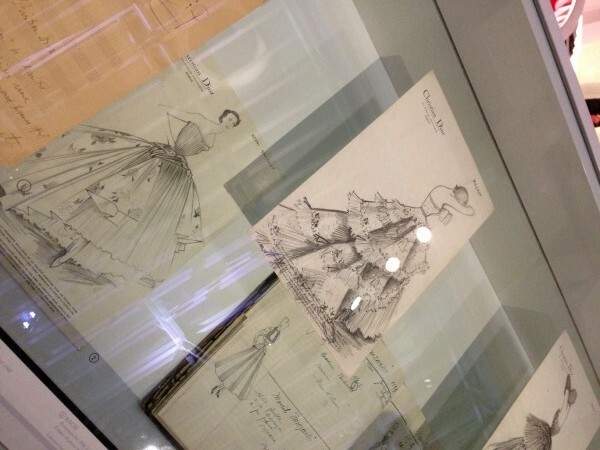 During my visit to the exhibition, I enjoyed exploring the designer’s life and work plus his artistic influences. To illustrate his passion for art, it also presented the works of fifteen contemporary women artists, who were inspired by the iconic scent Miss Dior. Below you can see my favorite artworks. For New Yorker Alyson Shotz, the rose theme, a flower dear to Christian Dior, also inspired her sculpture Infinite Rose with its reflections of steel and dichroic film, which changes color and shape depending on the movement of light, and that of the observer. 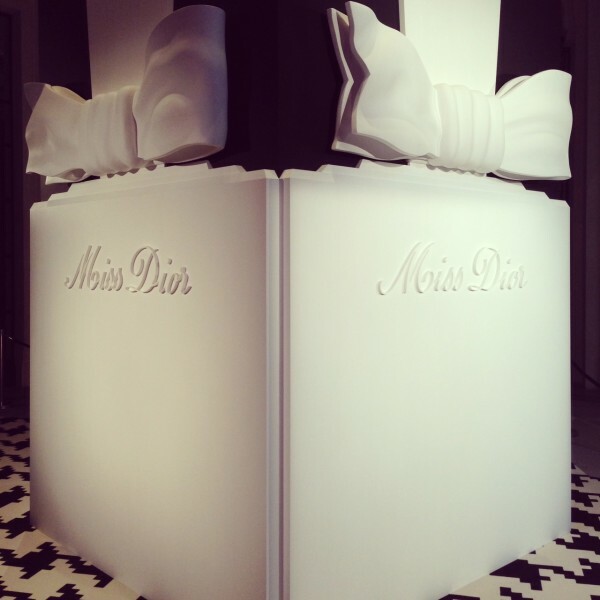 Born in Rio de Janeiro in 1976, Maria transcends the Miss Dior bottle to create an organic and sensual installation using different material. Spirals of nylon, rope, straw and woven pearls are rolled up in an endless process, like a living sculpture, moving matter that bonds everyday life, cosmology and genetics. 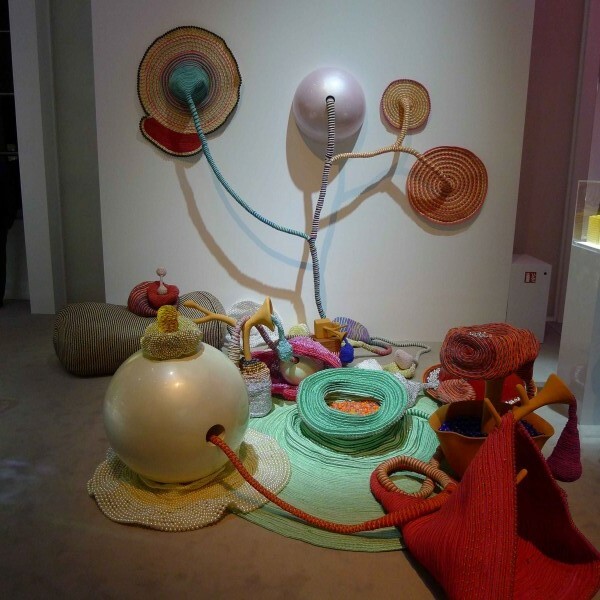 My avid readers might recognize Joana Vasconcelos from her current solo exhibition at the Gucci Museo in Florence. 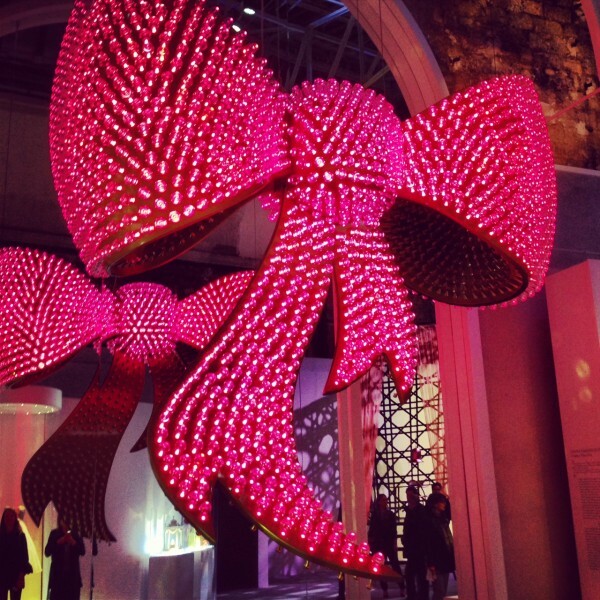 For Dior, she has imagined a carbon fiber bow some 3 meters wide adorned with almost 1.665 perfume bottles and LED lights. This is probably the most impressive installation of the exhibition. Recognized the world over for her objects midway between fantasy and narration, the Slovenian designer explores femininity from every angle with a series of pieces and collaborations, highlighting sensuality and seduction. 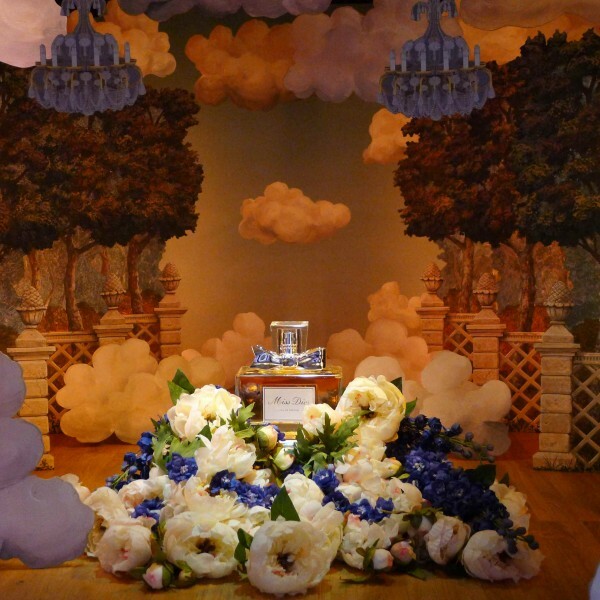 Here, she created a fairy-tale pavilion dedicated to women and their aspirations. This was one of my favorite artworks of the exhibition. Born in Philadelphia, Karen Kilimnik dramatizes today’s consumer society and the world of images through her paintings and lyrical installations, with a profound sense of romanticism. Inspired by the 18th century Drottingholm Theater in Sweden and the design sets for Alexei Ratmansky’s production of Psyche, but also fascinated by the Dior archives and first models, she has taken a new look at the follies and gloryfiers. With Carole Benzaken, media – drawing, painting, photography, video -, intertwine and overlap each other. 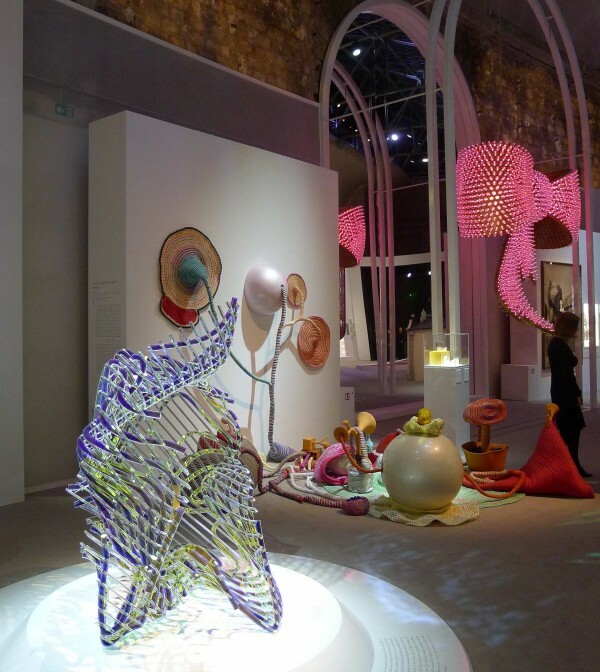 She designed a majestic but fragile opalescent glass sculpture spanning one meter, surrounded by seven back-lit vats decorated with wooded landscaped drawings, like the idea of a liquid and immaterial fragrance that takes up and appropriates space. 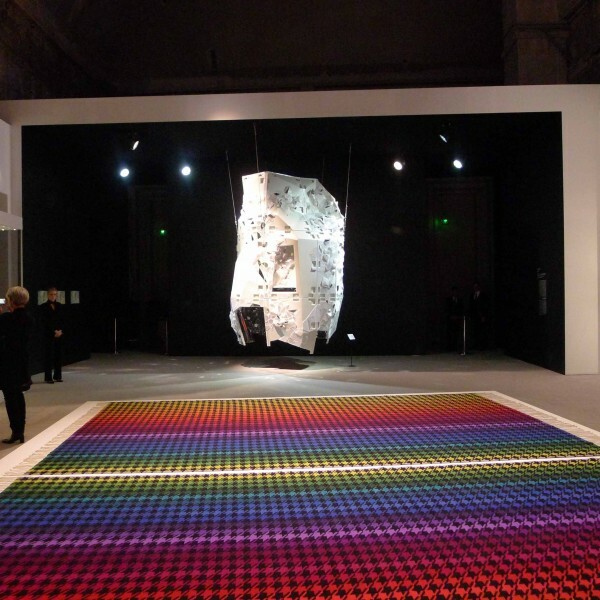 It was the houndstooth pattern that inspired the American artist’s large-scale installation, hand-woven in Mexico using the traditional weaving techniques of Oaxaca. 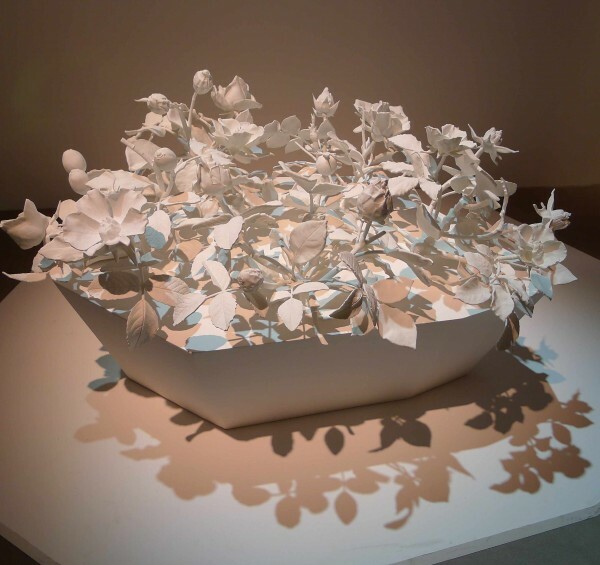 An unmissable figure from the Asian artistic scene, she created a dozen monumental sculptures in crystal and aluminum. 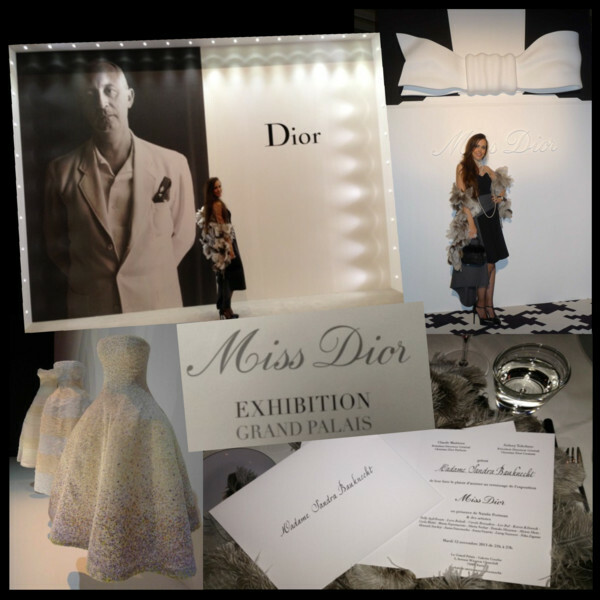 For this exhibition, she has taken a new look at the olfactive memory of Miss Dior, its light and modernity at the center of an installation designed as a manifesto, standing 5 meters high and weighing almost 500 kg. 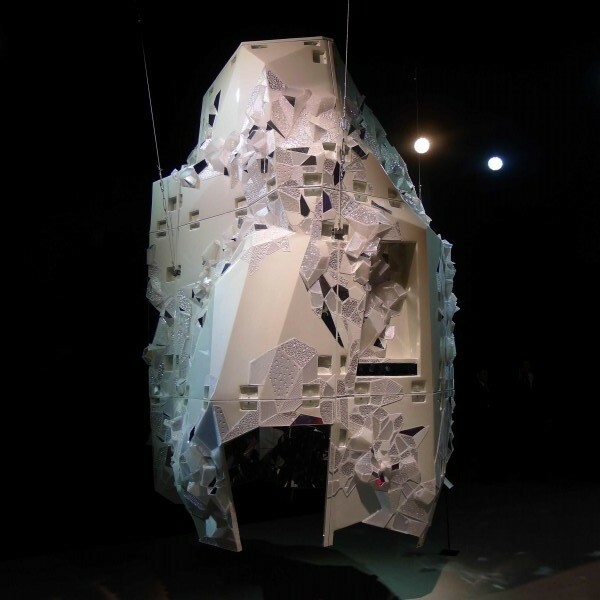 I stepped inside this suspended cocoon for a private journey on self-reflection. 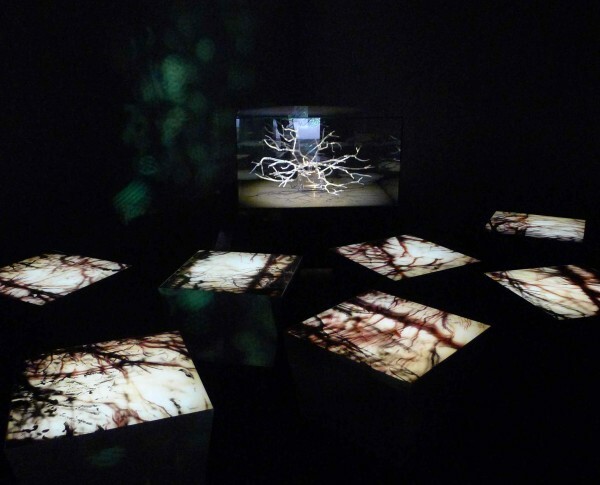 Under a venomous hybrid appearance, the works of Carla Matti are about nature and reality, the world and its virtual dimension. This young Italian artist scanned then recomposed and computer printed in 3-D the legendary Miss Dior rose which is transformed into a sculpted rose garden full of original flowers taken from a bend of five different floral varieties. At the after party: Having fun with the fabulous Montasar Dumas. It was such a fabulous event and I truly had a blast. If you like my look, here are all the details: Black strapless dress by Prada, pointed leather Mary-Jane pumps by Saint Laurent, skirt belt, feather stole, handbag and pearl necklace, all by Dior. 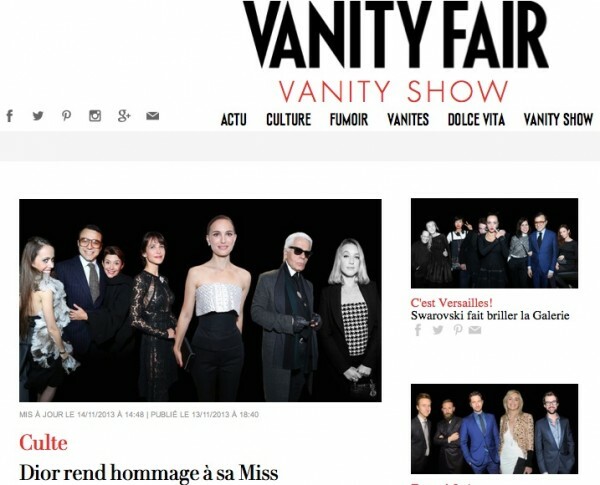 Thank you Vanity Fair for featuring me among the most amazing celebrities!